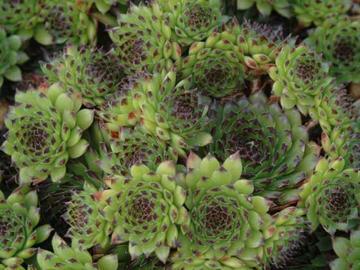 Attractive hybrid, rosettes of bright green leaves with contrasting, almost black tips. Pink flowers. Healthy grower which looks good all year. German hybrid raised by Martin Haberer, 1979.